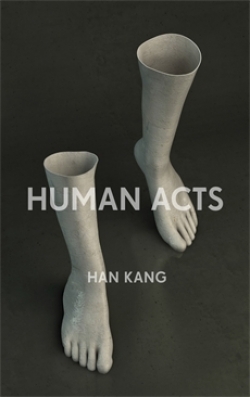 Human Acts is set during and after the Gwangju Uprising of May 1980. Following the death of South Korea’s military ruler Park Chung-hee in 1979 and the seizure of power by another general Chun Doo-hwan, protesters called for the end of military rule. Paratroopers shot at the demonstrators, but the troops were resisted, with increasing numbers of people from across the city joining the demonstrations and the soldiers retreated. For five days the city was held by a Kwangju Commune, with citizen’s committees and a popular militia. South Korea’s army blamed the events on Communists and, with American approval, then retook the city, resulting in a final death toll of between 600 and 2,000 protesters. The desire to write fiction about events of this scale hits against the limitations of the literary novel as a form. For two centuries, prose fiction has tended be about a certain kind of city-dweller, moneyed, articulate and cynical. In Britain in particular, literary fiction depicts private triumphs or defeats, not the ambitions of an insurgent crowd. The world gives us the War on Terror, the Arab Spring and the revolution in Syria; fiction’s answer is the self-satisfied vacuity of Ian McEwan’s Saturday (2005).